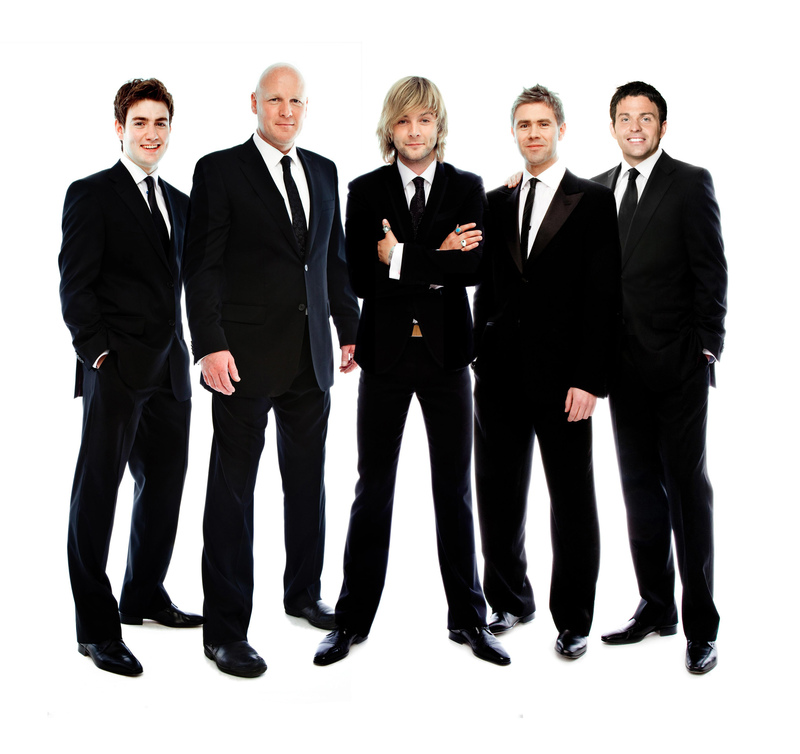 ‘Celtic Thunder’ Storms the Fabulous Fox Theater November 8! Interview With Vocalist George Donaldson. The world-renowned musical ensemble “Celtic Thunder” will return to the Fabulous Fox Theatre in St. Louis on November 8! Tickets are on sale now at MetroTix or call 314-534-1111 (starting at $45). 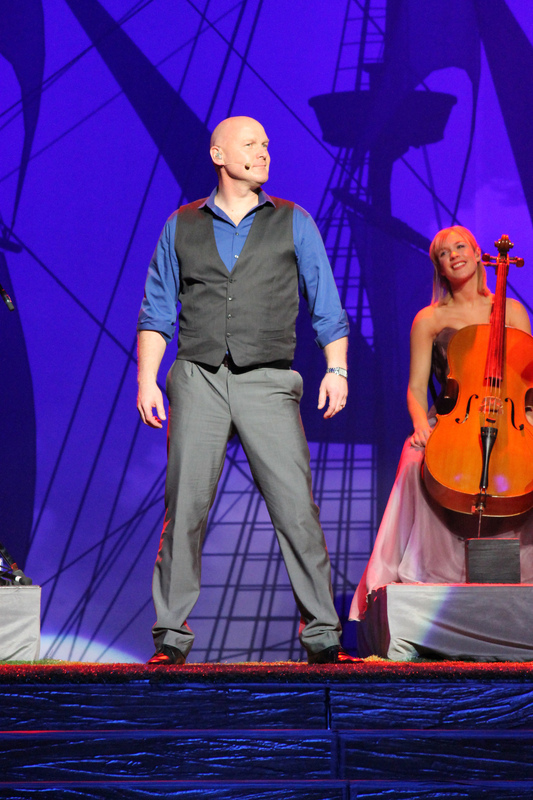 Born and raised in Scotland and a bus builder by trade, George Donaldson is the Scot in Celtic Thunder. He is a self-taught and accomplished musician, who has mastered guitar and flute and is currently being taught to play the fiddle by his daughter Sarah. George’s love of Celtic music stems from his childhood in Glasgow, where his main influence was his late father Bernard, who had a love and appreciation of all kinds of live music. One of George’s greatest thrills was performing for his Dad and 65,000 other fans at the Glasgow Celtics opening match of the 2000 season at Celtic Park in Glasgow. Now at 42 years of age, George is a well-established singer in the vibrant Glasgow and West of Scotland Folk scene, and he released his first solo CD in 2011 entitled ‘The White Rose’. George was also nominated for an Irish Music award in 2011. His musical influences are Harry Chapin and Jim Croce, and the Scottish group The Proclaimers. George has recorded folk sessions for BBC Scotland and has made appearances at Glasgow’s own Celtic Connections and the Glasgow West End Festival. George has toured as part of Celtic Thunder in America and Canada and as a soloist in Europe, and he has a very special fondness for Germany, whose language he continues to attempt to master. He has also performed (alongside the other soloists in Celtic Thunder) at the St Patrick’s Day Parades in New York, Boston and Chicago in the US. George was cast in Celtic Thunder is the “steadfast” one, and he carries the distinction of being the sole Scotsman in the show, as well as the only married family man of the group. Although George misses his wife and daughter when he is on tour, he enjoys the easy camaraderie on and off stage with the other members of Celtic Thunder. He sees the new direction his life has taken with Celtic Thunder as being the most exciting of his musical career to date and feels he has best of both worlds, a rich and supportive family life at home and a fun and challenging job that allows him to travel. In the Voyage tour George pays homage to one of his musical heroes and performs the Harry Chapin classic ‘Cat’s in the Cradle’. He also performs the fan favorites ‘The Old Man’ and ‘I’m Gonna Be’. Of course joins the rest of the soloists in the ensemble numbers. Check out George’s bio on celticthunder.ie. Kevin: For those not familiar with Celtic Thunder, how did the group get started? 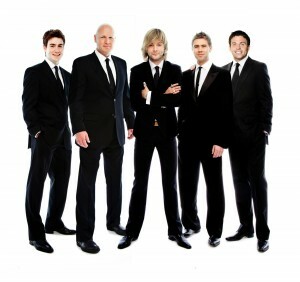 George: Celtic Thunder was formed by Sharon Brown (Producer) and then MD Phil Coulter. They held Auditions all around Ireland and came over to Scotland to find that Scottish, Celtic link. Sharon had this idea to have 5 totally different voices with a large age span between them and put them together to see how they would work. To all of our fortune it worked amazingly and Celtic Thunder was formed. K: How did Celtic Thunder get its name? G: The show got its name from “Celtic”…… easy enough to see and “Thunder”…….. something hard hitting with a very masculine sound, just like the sound we produce. On the original show, appeared as 5 mean appearing from a shipwreck from a “Thunderous” sea. K: How many founding members are still involved with the group? G: Two members of the original five have left to follow solo careers. Leaving myself, George Donaldson, Keith Harkin and Ryan Kelly. We now have Three other singers. Colm Keegan, Neil Byrne and Emmet Cahill. K: Would you say there is a leader of Celtic Thunder, or do all of the members have equal input with the creative aspects? G: There are no lead singers in the group. We are all soloists brought together for Ensemble pieces as well as solo songs for each show. It brings a great variety to our show and has that “Something for everyone” feel to it. K: How did you become a member of the group? G: I became a member of the Group at the original auditions in Glasgow 5 years ago. I had a day job working in a Factory at the time. I’d been singing in bars and clubs all around Scotland for around twenty years always looking for that “Big Break”. So in a way I’m an example of “It’s never too late”……..
K: Celtic Thunder has had a pretty diverse group when it comes to age, with members ranging from 14 to 44. Is there ever any difficulty when it comes to working with such a large generational gap? G: I don’t think we have many problems with an age gap, now or when Damian was with us. I suppose we all got on like a family and still do at now with the new members. We all know what we want and appreciate what we have in the show and how fortunate we are to be in this position. When you have to stay on a bus together and travel around together over a four month period you have to make allowances and know how to compromise. Fortunately we all know how to do that. K: Do you think the different ages and generational experiences has an impact on the creativity when it comes to writing new songs? G: I think all the songs are well thought out for each individual singing them. I know that I always have a song that reflects on life in one way or another. It wouldn’t work having the younger guys singing about life experiences or me singing about young love in a pop song……… Again I think this is another great strength in the show. It has to be believable to work. K: What artists or groups would you say are your biggest influences? G: My biggest influence has to be Harry Chapin. I love how he had a great story in a song. He wrote songs that would inspire you. Never let your dreams go by always try to follow them. In a way that’s what I did and so glad about that. Sadly he died in a car crash in 1981. I wrote a song about him on My first solo CD “The White Rose” and sent it to his wife who is now in her 70s. She loved it and contacted me. We are now very good friends and meet up every time I’m in New York. An amazing woman too. I’m so blessed to have met one of my hero’s family. K: You recently lost one member who pursued a solo career, and another to the television show “Glee.” How have those losses affected Celtic Thunder? G: With all shows “The Show Must Go On” the other lads wanted to venture out further and follow other dreams. We do miss them in the show and still stay in touch but the other guys that came in brought their own strengths to the show and are more than worthy replacements. K: Do you find you get a better reception overseas, or in the US? What are the biggest differences between the two audiences? G: Audiences receptions in various countries don’t, in my opinion vary too much. Certainly the enthusiasm at some shows are better than others but that’s not to say that a more reserved crow enjoys the show any less. I’d say the venue probably influences how someone responds to each show. I’m just glad that where ever we perform we seem to be doing something right and as a show we seem to have that “X” factor that people want..
K: Being the only Scotsman in the show, how does that affect your relationship with the other members who mostly seem to be from Ireland? G: I love being the only Scotsman in the group. I can hold my own. I’ll give as good as I get. No, to be honest we all get on great and as Celtic people we are all from the same “Stock”. we are the same type of people with the same type of culture. We love to sing and drink beer……… The ones that are old enough to drink that is………..
K: You’ve released several DVDs, most of which are live performances. You released one, though, Storm, which was a full theatrical production and featured no spoken word. Describe the process of producing Storm. Whose idea was it? What was the most difficult part of making it? The most fun? G: Storm was the one show that stood out on its own in the sense that it was more a theatrical idea more than just a show. Sharon wanted to try something a little different and boy did she do it. We were all out of our comfort zone in doing it. It was a lot of fun recording the show. A lot of time and effort went into rehearsals and recording. I was so tired at one rehearsal that I fell asleep in one of the little huts onstage. Damian had to wake me up to run out and sing my song. Funny when I look back. K : You recently released “Voyage II” on CD / DVD. How long have you been working on the album, and what makes it different than your previous work? G: Voyage saw the change of Musical Director for the show. It brought David Munro in. He is an amazing and talented musician and person. It was the first time he had worked with us and took us in a slightly different direction. We have since recorded another show that will be releases March 2013. I believe that this show will be by far the best one that we have done to date. We are all so excited about it and can’t wait to take it on tour. K: Which of the songs you perform are most personal to you? G: I like that I get serious songs to sing that touch on serious matters in life. There’s no other subject more serious that losing a loved one and through that I would say that singing “The Old Man” would be very close to my heart. I’ve lost both my parents. My Dad 10 years ago and my Mum 2 years ago. I’m also fond of singing “The Cat’s In The Cradle” A song by Harry Chapin. It’s about being away from family for long periods of time and working all your life and suddenly discovering that your family has grown up too and you’ve been too busy to notice it……. A kind of warning to us all that we shouldn’t take things for granted and we should always have time for the people that we really care about. K: Do you have a favorite venue or Country to play in? G: I love travelling all over the world and I can’t believe that my job pays me to do just that. I love to many cities to mention. The fact that we played in “Radio City” was just amazing. We also sung in The White House for the Obama family……. There aren’t too many things can match that. K: Are you working on any other projects right now beside from Celtic Thunder? G: I released my first CD last year. Named “The White Rose” The title song tells the story of a stance that a group of people made during the Second World War. I’ve had great reviews about the cd. which prompted me to work on a second CD. All the songs have been written for it and I’ve just started working on recording it. It’s not that easy to find the time when I’m kept so busy with CT. Also when I’m not on tour with the show I like to find the time to do “Solo” performances in the States and at home. Dates for these and other facts about myself can be found on www.george-donaldson.com. Kevin Brackett is a professional film and theatre critic. He is also a member of the St. Louis Film Critics Association (SLFCA). Since founding Review St. Louis in 2008, he remains editor and operator of the online publication. Kevin is also a co-host of the Reel Spoilers podcast, and former National Vice President of the Technology Student Association (TSA), comprised of over 200,000 members worldwide. E-mail: kevin [at] reviewstl.com.